You have rights after being arrested for a drug crime. At Yeretsian Law, we have a track record of success in defending people charged with drug crimes. We provide every client with attention and vigorous representation. Contact a lawyer right away if you are charged with a drug crime. Call 888-402-1050 for a free consultation. We will advocate for you every step of the way. Your criminal case is the most important issue in your life — it is important to us, too. That is why we are always responsive to your needs and will provide advice without judgment about your situation. Drug offenses carry harsh penalties. A defense attorney who has experience handling both state and federal drug cases is necessary to protect your future. An attorney since 1998, Lara has over 20 years of experience and understands what's at stake and what options are available to achieve the best possible outcome. We also understand the impact collateral consequences of a plea including immigration consequences, licensing issues and other administrative and disciplinary matters may have on your life. While negotiating the best plea bargain for you, we take into account all collateral consequences and creatively craft a plea deal that either neutralizes these collateral consequences or gets rid of them altogether. Consequently, we work closely with immigration lawyers and other experts to ensure your rights are being protected and all options are explored to protect your professional licenses and to keep you in the United States. 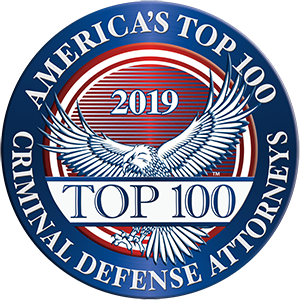 We will guide you through the entire process so you know what to expect, what options are available and what we are doing to defend you against drug charges. Do not wait to contact us if you are under investigation or have been charged with a drug crime. We will fight to protect your rights and give you the respect and attention you deserve. To arrange a free consultation, call 888-402-1050 or send us an email. We speak Spanish, Arabic and Armenian.